Buying a home is a dream for everyone as it is an integral part of life. Owing to the rising price of the property, buying a home on a lump sum payment is almost impossible. That’s how the concept of Home Loans comes into existence. While there are a plethora of housing finance companies and banks offering Housing Loans, selecting one company or a single offer for Home Loans is very difficult and tedious. Apart from various other reasons, one more thing that plays an important role is the fluctuating interest rates. Moreover, long tenor may lead to a situation where prevailing interest rates may be higher or lower than your loan interest rate. In spite of a thorough market research, it may so happen that your current housing finance plan does not seem to be beneficial when compared to other plans. What this means is sometimes you may come across other lenders who are providing Home Loans at lower interest rates than your current lender. In such a case, a feature called Home Loan balance transfer can solve your problem. Are you under the mindset that you are paying high-interest rates on Home Loans? Does the high EMI on your Home Loan seem to be a burden? Should you check the interest rates offered by other financial institutions? Want to top up your loan? Well, you can opt for a Home Loan transfer option. Can your lender lower the interest rate? Before making any decision, you should first check if your lender can provide you with a lower interest rate or EMI. If it does, it will save you a lot of money and time as you don’t need to go through new formalities and procedures. The timing of the switch: It is advisable to apply for a Home Loan transfer in the early tenor of the loan. Transferring your loan before 2-3 years of loan payment is not advisable as you have already repaid most of the interest amount. Eligibility for balance transfer: If you are a self-employed customer, it is important to check whether the new lender is ready to take your Home Loan or not. Home Loan transfer cost: This applies to both, your current lender as well as the new lender. You can use a Home loan transfer calculator (MS Excel file) to compare multiple Housing Loan products. A Home Loan balance transfer calculator also gives you information about loan transfer charges which includes processing fees and other costs. 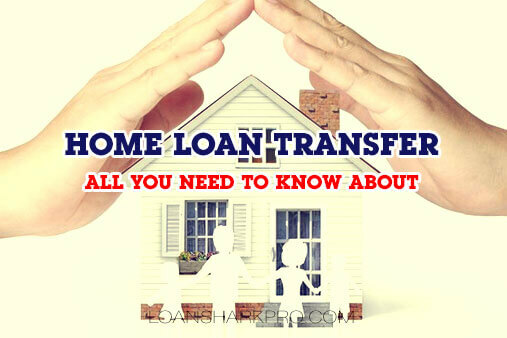 Home Loan transfer process: Balance transfer completely refinances your Home Loan. One needs to seek a No Objection Certificate (NOC) and details of the outstanding loan amount. On approval of the loan, after submission of the NOC and the outstanding details to the new lender or bank, the older lender will receive the payment. The previous financial institution will cancel your post-dated cheques. The new lender will treat your Housing finance as fresh, and you will have to follow the procedure including credit appraisals, verification of property credentials, technical evaluation etc. all over again. You can also get a home loan balance transfer with top up. Terms and conditions: Shifting to a new lender through the procedure of loan transfer bring a change in previous terms and conditions. As you will be switching to a new financial institution, make sure you go through the fresh terms, conditions, and policies. Acceptance of the debt amount: In case of a loan transfer, the existing lender should be willing to accept your existing debt. Check your outstanding balance and enquire about the limit for taking up loans in the new financial institution. A Home Loan balance transfer can prove to be beneficial only if you are well-versed with what it is offering and what it is asking for. It is important to understand that the lower interest rate shouldn’t be a short-term promotional offer. Avoid hasty decisions and consider all pros and cons. Transfer Home Loan only if the benefits are substantial. Anamika Verma writes on various types financial loans and has a vast experience as a financial advisor. Her expertise on financial issues is well sought after and she is known for her in-depth knowledge topics such as debt management, liquid assets, mutual funds etc. These days, she working on Housing Loan and its terms and conditions as well as its types such as the Home Loan Balance Transfer , Interest Rates, EMIs etc. She has written more than 1000 blogs on topics. A post-graduate in finance management, Anamika loves to travel or cook in her free time.